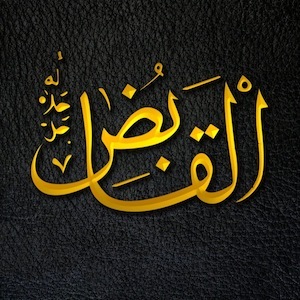 Al-Qābiḍ and Al-Bāsiṭ are two names that must come together. Qabd refers to constriction or restraining. Thus, God withholds when it is good and He gives when it is good. The person who is in a state of constriction can look forward to the expansion and the lightness. And the feeling of qabd is sometimes due to our own priorities. We may desire approval, control and security from other than God Almighty, and when they fail us the natural feeling of contraction occurs. It hurts. And some of us decide to keep it there. We let the feeling of qabd push us farther away from God Almighty, because we do not understand why it is there. But God Almighty is Al-Qaabid, and just like a headache tells us we have not slept well or a stomachache tells us the food we have eaten is bad, this qabd tells us to reflect on its causes. There is a root cause, and the only way to get rid of the discomfort of the contraction is to deal with its source. And just like God Almighty is Al-Qaabid, He is Al-Baasit who can remove even the traces of any constriction we may have felt.